Its nearly time for Charlie B to go home - he's been here a bit longer than usual because of house moves and holidays and his feet have made lots of changes. he had a diagnosis of ringbone and it was clear from day one that medio-lateral balance was one of his biggest issues. Here he is in his shoes - and lamest RF. 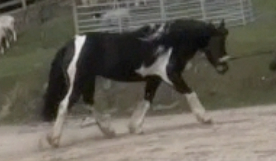 Today, a much happier stance even though he still has a small amount of new hoof capsule to grow in. One indication of better m/l balance is a more level hairline. 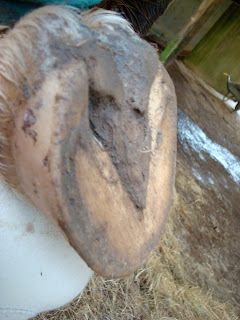 You can also see the angle of new growth which is growing in steeper and bringing his toe back. Here is his worse foot from the sole. A healthier frog and sole now although some way to go still before its as good as it can be. Similar story on his LF. 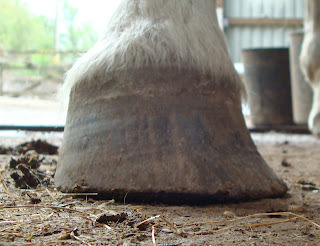 The long toe in the lower shot will disappear as the new hoof grows down further. Again, a better hairline and a more supportive heel. Caudal shots show not only how his digital cushion has developed but look at the hoof wall. You can identify the deviation in the top shot which was making his feet splay whereas today with shorter, straighter hoof wall he stands comfortably under himself. Finally LF frog and sole shots with again a healthier frog though it still has some way to go. Footage to follow! 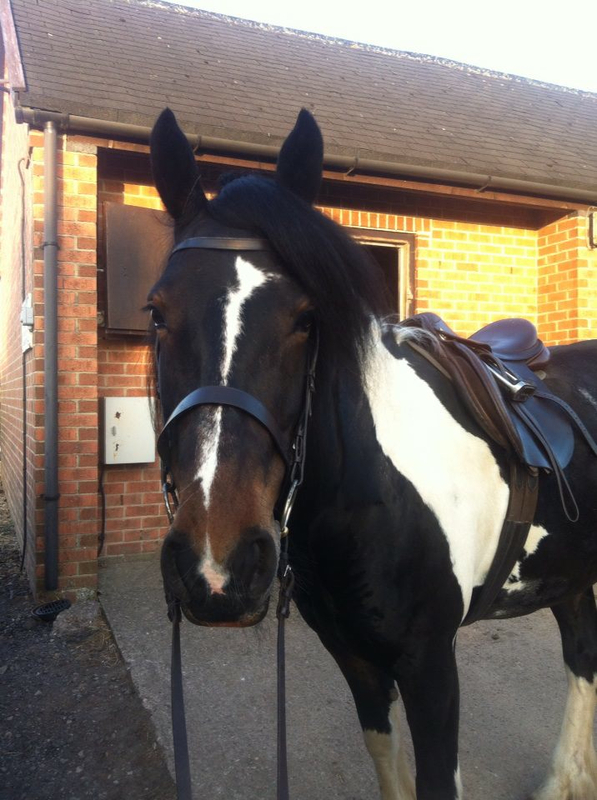 Some of you may remember Paddy, the ex-racehorse who was here earlier in the year. He came with a front limb palmar hoof lameness, diagnosed as navicular syndrome, but while he was here he had spinal x-rays which revealed severe kissing spine. His back was so immobile that he was completely unable to build topline or hindquarter muscle and even though his feet improved steadily it was clear that he needed a lot more help before he would be able to go back into ridden work. So no sooner did he go home from Rockley than he was booked in for surgery to try and give him back some movement in his back. That meant of course that he would be undergoing a double rehab, feet and back, over the following few months. Fortunately the op was a success and I was thrilled to see these photos of Paddy 8 weeks later. Emma has been working him daily in hand which has kept his feet progressing very nicely and he is at last building muscle through his back. 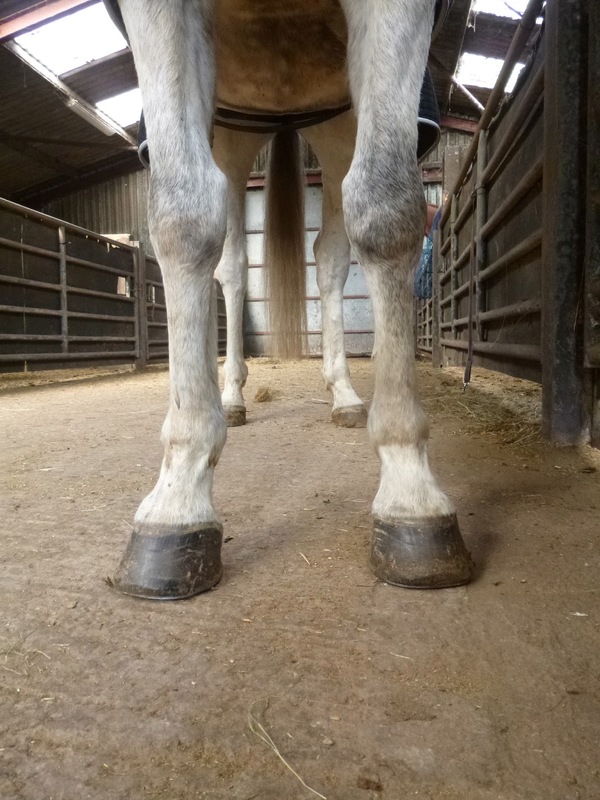 My post last week about the latest set of follow-up x-rays which have been done on a rehab horse seemed to be a popular one and has also generated some debate on the HHO forum so I thought today's blog could usefully be used to clarify some issues, though it is a bit long - apologies! For those who are interested, the synopsis for Project Dexter, our research programme (for want of a better word), is below (and has been available for years to anyone who asked for it!). It was devised in, as I recall, 2009 with the help of Prof. Peter Clegg at Liverpool University. 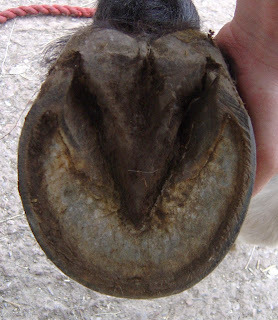 2 horses with a clinical history of lameness over at least [3-6 months] where lameness is abolished or significantly improved (more than 50%) by perineural analgesia of the palmar or plantar (abaxial sesamoid) nerves. These criteria will be demonstrated by the referring veterinary surgeon’s diagnosis, local analgesia, radiography and MRI. The horses in the study will have received a variety of treatment prior to entering the study, but none will have returned to full work as a result of that treatment. This will be demonstrated by a questionnaire to be completed by the horses’ owners, in the form attached. In a recent study (Dyson et al, EVJ (2005) 37 (2) 113-121), horses diagnosed with lesions to the DDFT or damage to the navicular bone or distal interphalangeal joint (“DIP”) had a guarded to poor prognosis for return to full competitive work, with the majority (72-95%) failing to return to full work after treatment. The prognosis for horses with injuries to both DDFT and navicular bone was extremely poor, with 95% failing to return to full work. 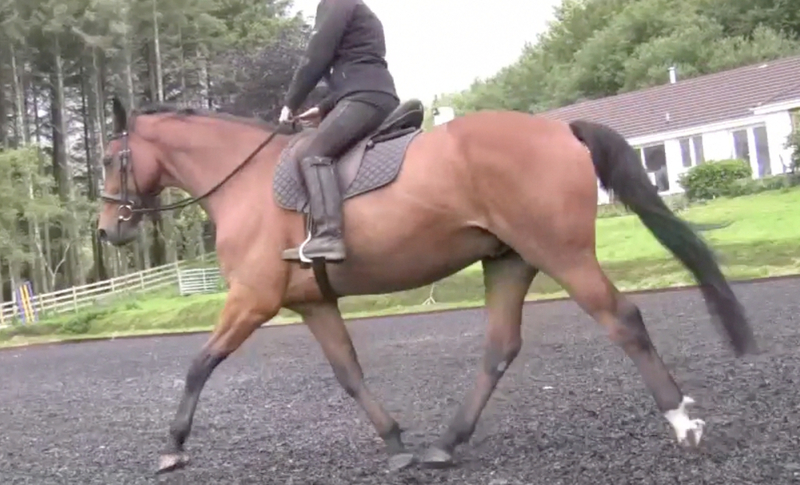 Experience at Rockley Farm has indicated that very often it is possible to achieve significant improvements in soundness in horses showing similar patterns of lameness using the rehabilitation programme set out in section 2 (“RP”). Can the RP deliver a significant improvement on the previously poor prognosis for horses with these two types of lameness? 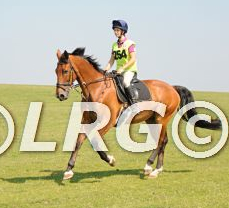 RP will be carried out at Rockley Farm. Horses within the RP will have their shoes removed and will be kept on supportive surfaces to maximise comfort levels and encourage movement. All horses included in the RP will be fed a low fructans, high mineral diet and ad lib forage. Horses within the RP will be exercised only on surfaces on which they are able to move soundly, but provided this criteria is met, exercise will be used as an important part of the RP. Before entering the RP, each horse will be assessed by his or her referring veterinary surgeon using the baseline lameness assessment protocol and using the information provided by owners, both in the form attached. To provide a consistent comparable, each horse will be assessed by the same vet, in the same location, using the same protocol, at the beginning, end and, if possible, during participation in the RP. Owners will also be asked to provided feedback replicating the original questionnaire to document the horse’s return to work, or otherwise. For horses in the first group, repeat MRI will be undertaken to assess whether previous DDFT lesions have improved. 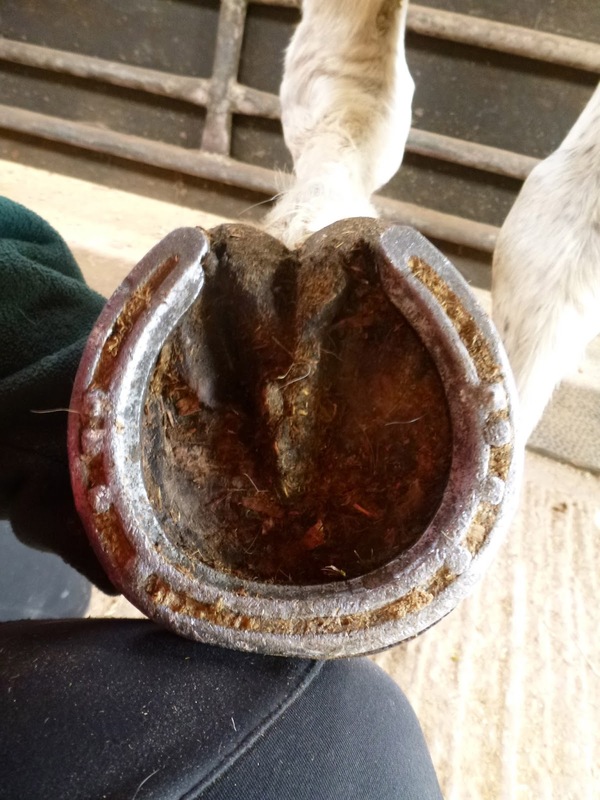 For horses in the second group, the referring veterinary surgeon will be asked to repeat the lameness assessment as far as possible in the same location and conditions as the original lameness assessment. Each horse will be filmed using high definition frame by frame footage, to assess footfall (ie toe first/flat/heel first) and limb loading on the date of entry into the RP. This footage will be replicated on a monthly basis for each horse. 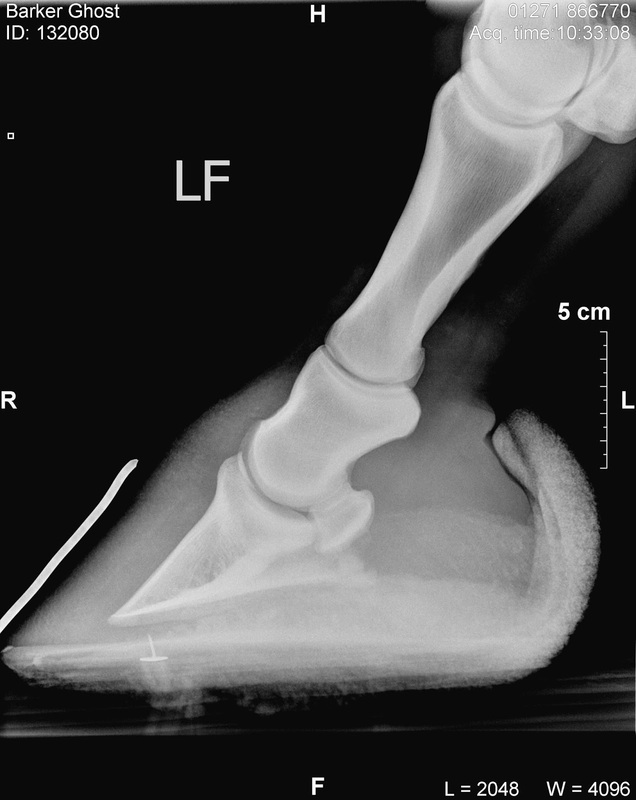 Still photographs of each hoof will also be taken, with external measurements,showing lateral, dorsal, solar and palmar views, to allow for assessment of hoof capsule changes throughout the RP and will be replicated on a monthly basis for each horse. Follow-up information will be gathered from owners as to how horses that have responded well to the RP continue to perform. 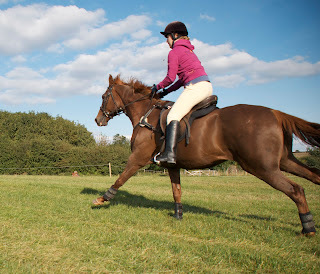 A control group of horses will be selected on the basis of case control study, using horses referred to the Unversity of Liverpool’s Equine Clinic at Leahurst, who fall into one of the two selection categories above, on the basis of the clinical assessment at Leahurst. 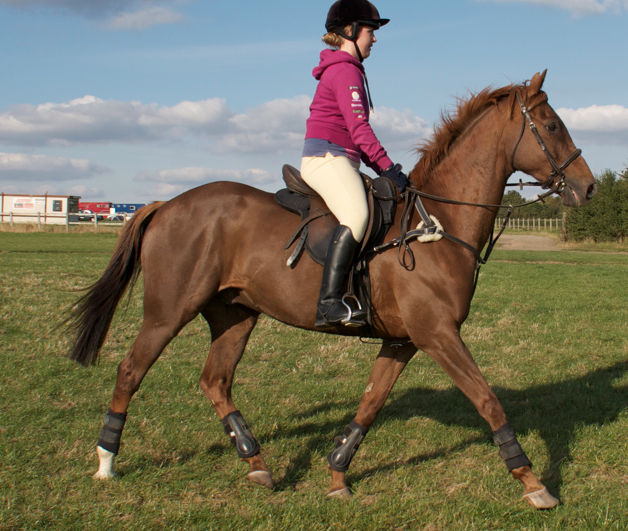 Control group horses will receive a range of treatments, but none will be included in the RP. Treatment outcomes will be monitored using the veterinary and owners questionnaires attached, supported by photographic and video footage as for the RP." To date there have been over 70 rehab horses included in Project Dexter (I have no details of the control group at this stage). The last update on our results was done in February 2012 (full text below) and a new update will, I hope, be available later this year. 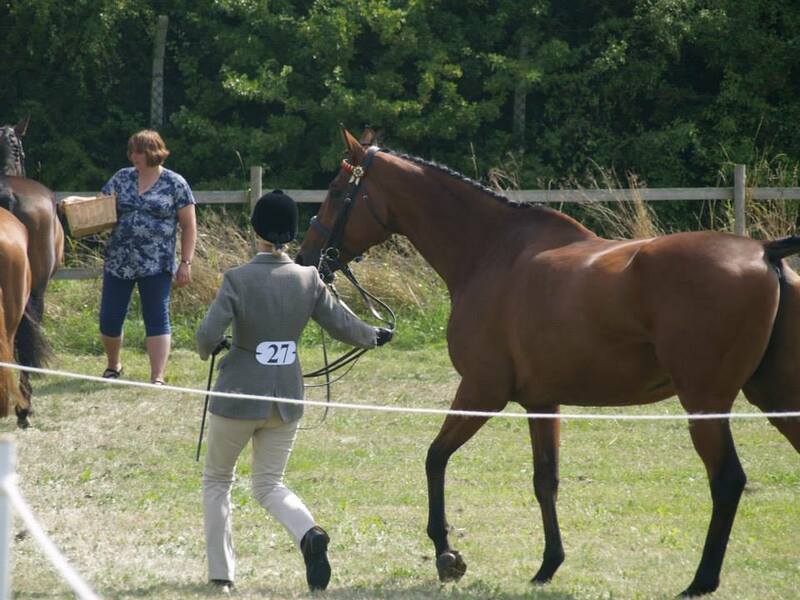 The 2012 update was compiled with the help of Emma Watts, an owner who also has a background in veterinary research, and was submitted to the BEVA congress last year in their required form (a 300 word abstract of preliminary findings). The full blog on that update is here but for whatever reason, it wasn't accepted by BEVA. 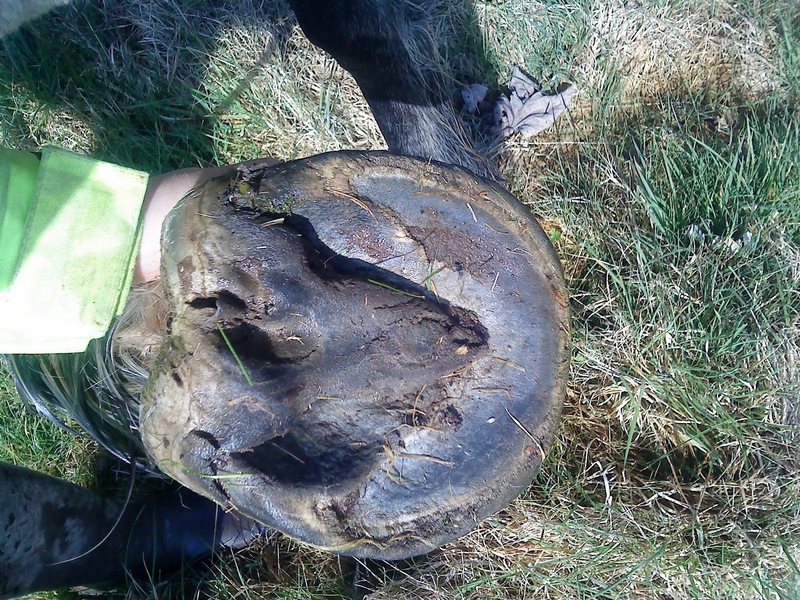 "Palmar hoof rehabilitation: a means of increasing soundness in horses with DDFT/collateral ligament injuries within the hoof. 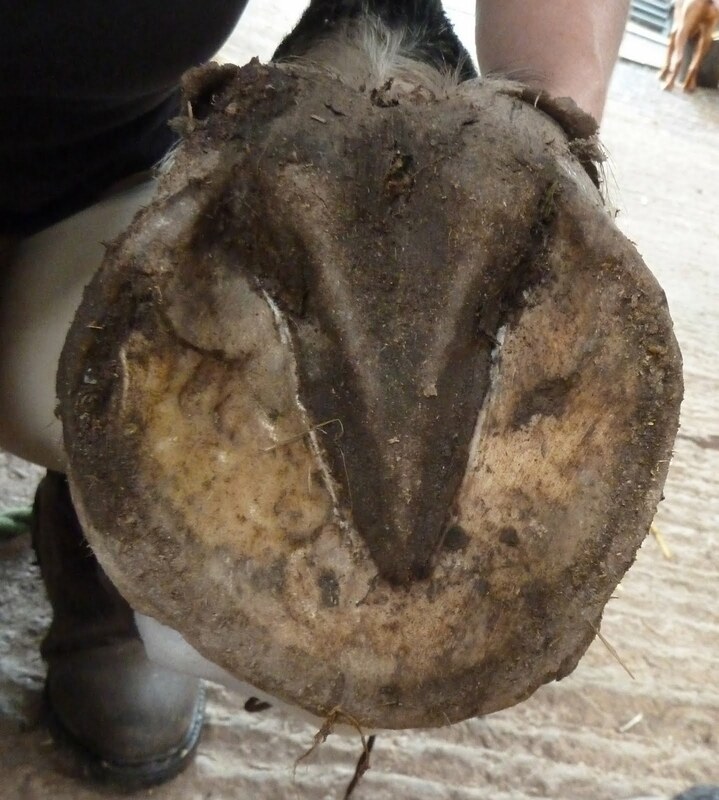 Aims: To assess whether a specific rehabilitation protocol which improves palmar hoof development and medio-lateral balance provides a comparable/better prognosis for long-term soundness than current treatments. Methods: Forty-four horses with a history of more than 12 weeks forelimb lameness that was abolished/significantly improved by palmar digital nerve block were rehabilitated over approximately 12 weeks. Shoes were removed and horses kept on surfaces which maximised comfort and encouraged movement (including shingle and sand). Free movement on these surfaces was encouraged. Diets were low in sugar/starch with balanced minerals and adlib forage. 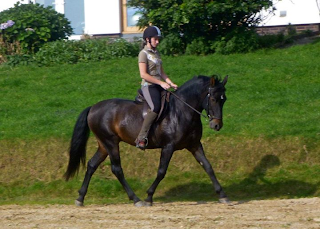 In-hand and ridden exercise on varied surfaces formed an important element of rehabilitation. 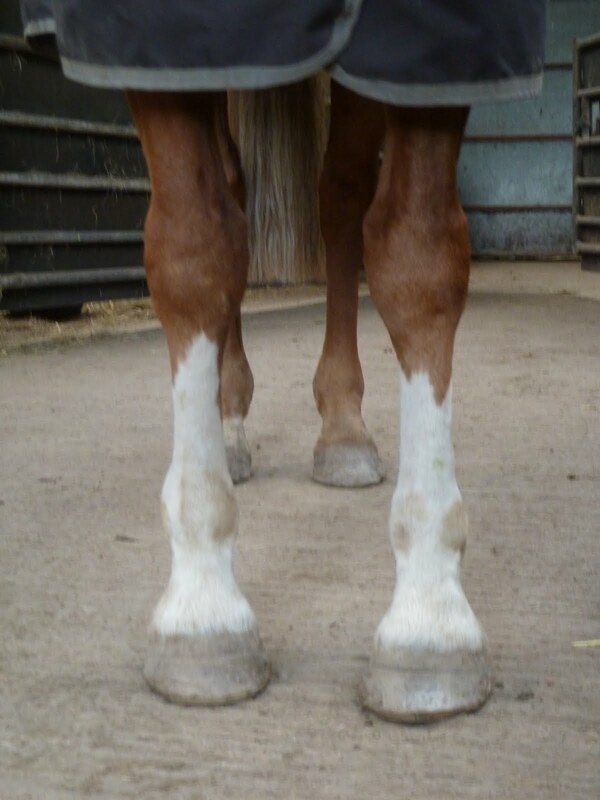 Palmar hoof development and medio-lateral balance were regularly monitored with photography, using video footage to assess foot placement (toe-first/heel-first). 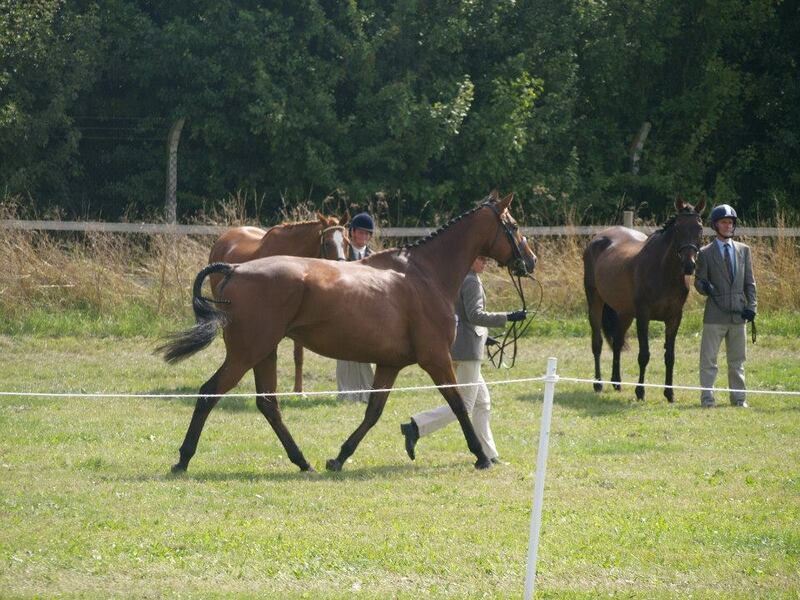 After ~12 weeks, horses returned home to continue a normal exercise programme. 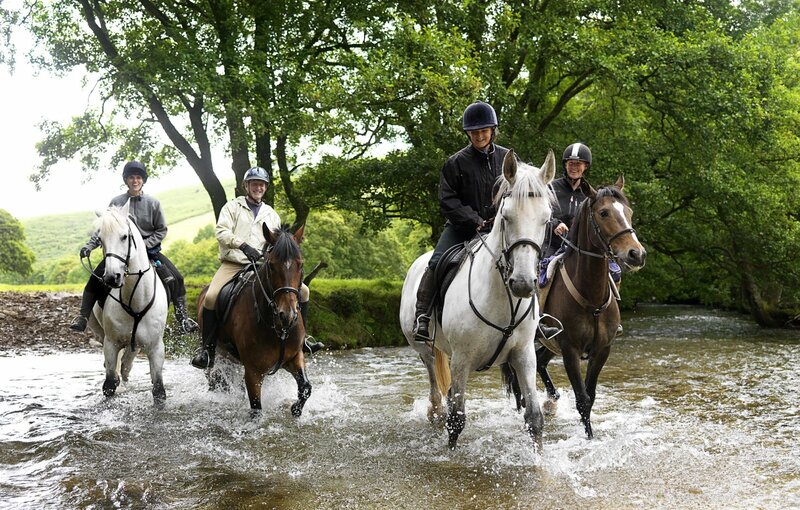 Results: Forty-four horses (aged 5-19yrs) were enrolled with 35 programmes completed and 9 still ongoing. Of the 35 horses who completed, 30 have since been maintained at the same level of work or higher than before their diagnosis, 4 improved but did not return to full work, 1 had rehab interrupted by colic surgery and is in light work. Improvements in palmar hoof development occurred relatively rapidly, with most horses’ landing changing from toe-first to heel-first within 2-6 weeks. Soundness on hard surfaces and on circles typically improved once this landing was established and palmar hoof development also improved with exercise on varied surfaces once horses were landing correctly. 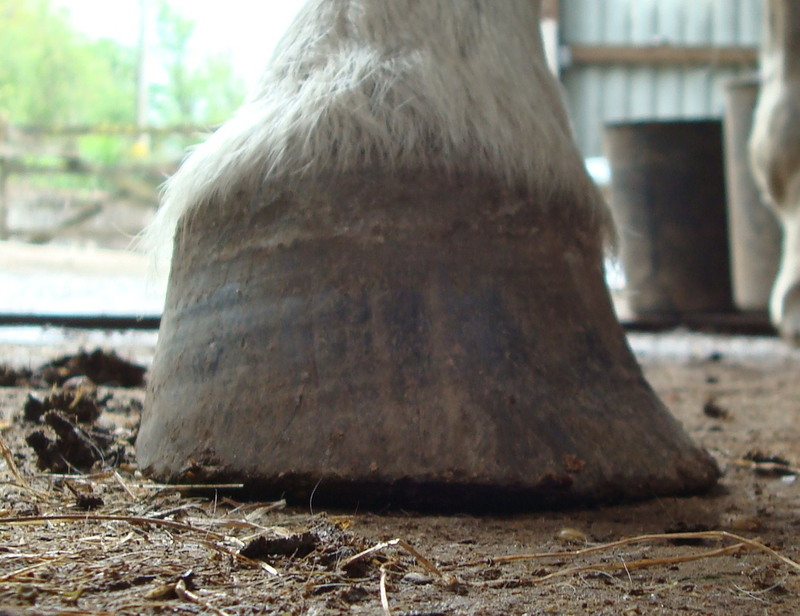 Conclusions: Horses with palmar foot pain may benefit from therapeutic rehabilitation which improves palmar hoof strength and medio-lateral hoof balance. Practical Significance: This type of rehabilitation may improve the prognosis for long-term soundness in horses with similar diagnoses. Acknowledgments: Constructive advice from Prof. Peter Clegg; Jeremy Hyde BVetMed MRCVS." The only way to truly assess what is happening inside the hooves of the rehab horses is with MRI. If money were no object then every horse could undergo MRI before and after rehab; the reality is that to do this would cost £2000-3000 per horse - which is way more than rehab here costs. Naturally, no insurance company will fund MRI on a sound horse so without research funding we won't get follow-up MRI. Its a problem that faces conventional therapies and remedial farriery as well, of course. There is as little research to support these as there is for barefoot rehab and I am not aware of any studies into palmar hoof pain where horses have routinely had follow-up MRIs even though this would be the veterinary "gold standard". "Evidence based medicine is not restricted to randomised trials and meta-analyses. It involves tracking down the best external evidence with which to answer our clinical questions. ...Because the randomised trial, and especially the systematic review of several randomised trials, is so much more likely to inform us and so much less likely to mislead us, it has become the “gold standard” for judging whether a treatment does more good than harm. 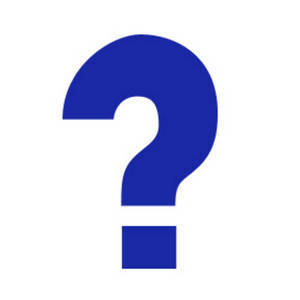 However, some questions about therapy do not require randomised trials (successful interventions for otherwise fatal conditions) or cannot wait for the trials to be conducted. And if no randomised trial has been carried out for our patient's predicament, we must follow the trail to the next best external evidence and work from there." Last year my own vet and I spent some considerable time (and quite a lot of my business' money) on using ultrasound on rehab horses in an attempt to identify a way of measuring soft tissue changes in a reasonably cost-effective way. We were unsuccessful, as its just not possible to get clear enough ultrasound of the DDFT within the hoof without some pretty drastic cutting of frogs, which would clearly be counter-productive for the soundness of our rehab horses. 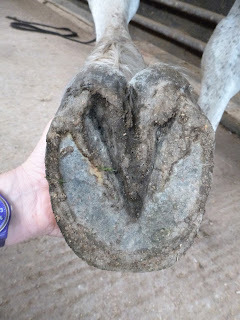 I've talked to dozens of vets (including the referring vet for each horse who has come here whom I also update about the progress of the horse) and I've found most of them to be both interested and supportive even though, as I've blogged before, many have a curious view that shoes are "normal" and barefoot is not! Meanwhile, I continue to find rehab horses and their hooves endlessly fascinating and I will continue to post blog updates so you and everyone else can draw your own conclusions. News from the long weekend where Rolo (also known at Rockley as Mr Mohican) went out competing again for the first time since he has been home. 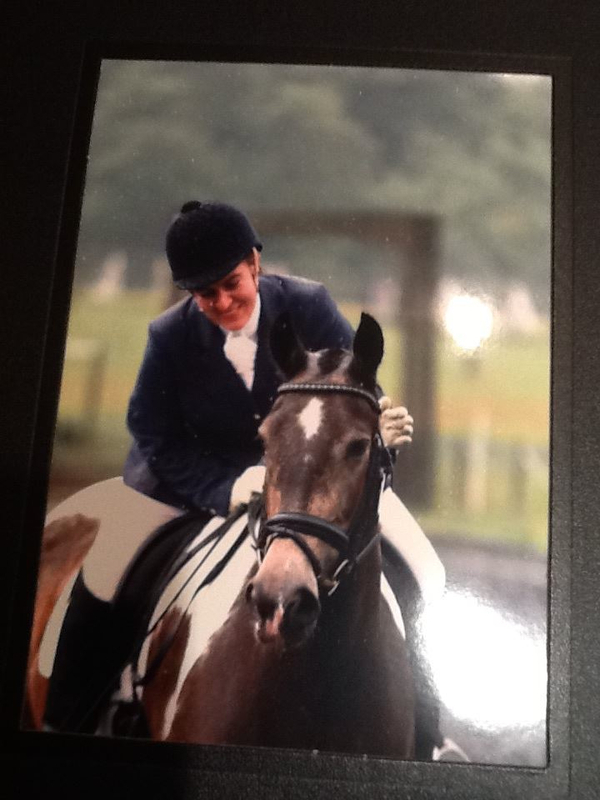 Rachel and Rolo's faces say it all - "Our first outing in over a year, despite the blistering stinging rain we managed a very respectable 62.82% and a 64.09% in a strong prelims classes this weekend! Go Rolo! What a dude! happy days :-)"
Big congrats as well to Kate and Rolie who were also competing and continued their fantastic run this summer scoring 70% in their Prelim and 66% in their Elementary! 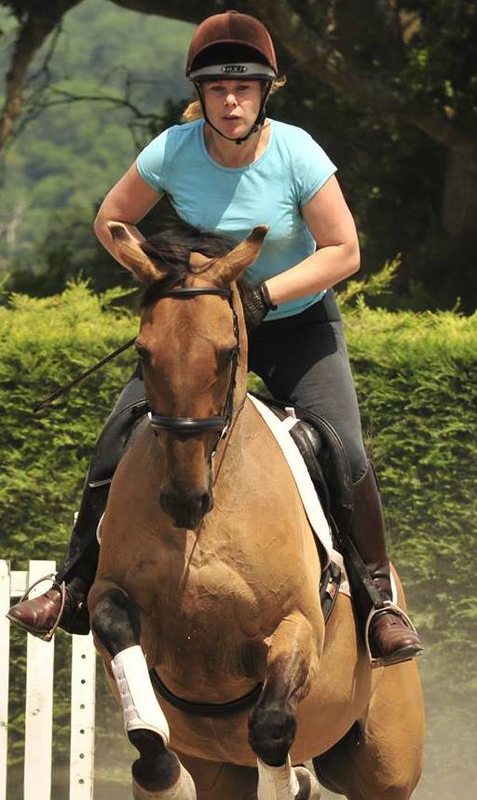 And finally, a nice shot of Remi who completed the Coombes Endurance GB ride this weekend and is looking extremely fit and well - well done everyone, and of course all the other horses and owners who were out and about this weekend! Well its been quite an exciting week but before you all go bank holiday crazy I thought it was time to post Chester's 8 week update - it was actually due last week but there has been so much to blog that I have got behind - sorry Chester! Still, here is his LF day one, and the comparison shot at 8 weeks for reference below. Much shorter toe (no trimming required), the start of a more supportive heel and a nice short angle of new growth. His RF on arrival was contracted with a weak heel and frog and a ridge of sole which usually indicates a lack of integrityand strength in the hoof. 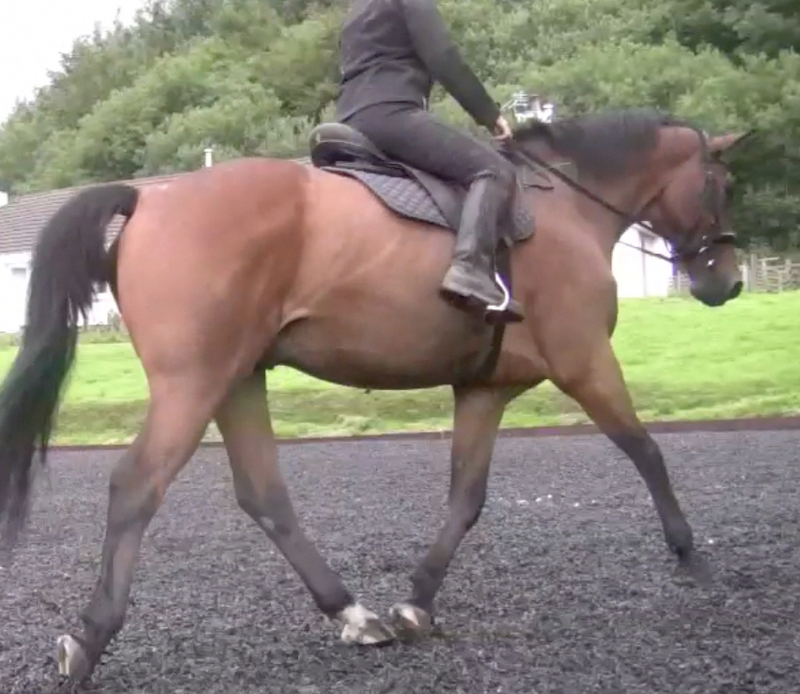 After 8 weeks things are improving - less contraction, bars beginning to straighten, ridge of sole disappearing and a healthier sole, frog and heels. Lots of improvement still required but we are heading the right way. ...with the same landing after 8 weeks. Again not perfect but improving. Some of you will have seen a blog post I put up last month which challenged the traditional opinion that navicular is a degenerative disease. The evidence following remedial farriery is that typically lameness worsens and the soft tissue and bone damage evident on MRI and x-ray worsens over time. The evidence from our rehab horses is quite the opposite - that if a horse goes barefoot with correct work and improved biomechanics lameness improves and soft tissue and bone damage repair. I can point to a lot of sound horses in work following rehab, but of course only a handful of horses have had follow-up MRI or x-ray after their rehab here as its hard to justify the expense of doing so with a sound horse. Nevertheless, last month I reported that there were 4 horses who had had investigation post-rehab, all of whom showed healed tendons or ligaments on MRI or new bone growth on x-ray. 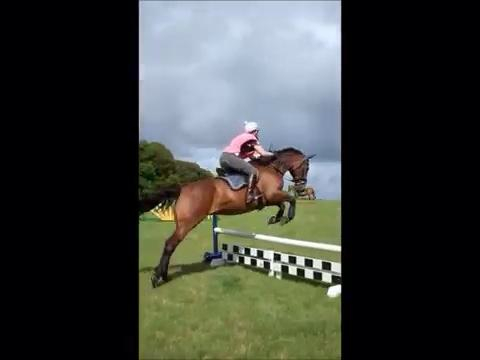 This month its 5, as I had great news from Krista and Buddy, to cap their jumping success at the weekend. 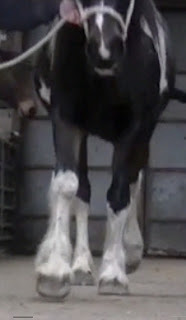 "Buddy had his X-rays done today and nothing has degenerated since they were last taken (25th Sep 2012) and the damage to his navicular bone has improved as has the pedal oestitis in both feet. Don't get me wrong the changes are very slight [which you'd expect as it is only 6 months since Buddy went home and bone is the slowest to change] BUT they are improvements. So much for it being a degenerative condition." Who remembers Ruby, the coloured cob who was here earlier in the year? She had been diagnosed with collateral ligament damage in both front feet and had also had hind limb suspensory problems. Linked to the collateral ligament damage was a medio-lateral imbalance in front which had led to her twisting and dishing. Ruby went home several months ago and has been working steadily since then and yesterday her owner posted a lovely update on the rehabs' forum. "Ruby is now so happy, her grumpiness has all but disappeared along with her dishing. We even have our first lesson booked for this Weds so I'm keeping my fingers crossed until then." Well done Sarah and Ruby and we'll all keep everything crossed for you - you've done really well and deserve every success! I had a lovely time on Sunday night catching up with what the rehabs had been doing - and its been a good weekend. ...and Kate and Rolie have only gone and come third in the Championshop class in their Area Festival, which means they have qualified for the Nationals next year! Very well done boys - very proud of you and how far you have come! ...we will be at the Rockley Rehabs' Reunion and I hope the weather is vastly improved on how it is today...Mind you, since we will be over in Bucks its almost bound to be better than up on Exmoor. We've got Wiola coming to teach on Saturday and horse agility as an option on Friday, plus of course the usual huge and excellent array of food, drink, chat, horse facilities and camping. If you haven't booked but want to come, please get in touch via the RRR website. Meanwhile, I want some help from you lot. I didn't offer a scholarship this year because it was just too busy and there were no spaces free at all through spring and summer. However, I was thinking it would be nice to have a nominated charity which could benefit from horses being here - and perhaps we could do something at the RRR as well if anyone has any bright ideas? But first need ideas about which charity to nominate...Suggestions please? This will be a more mundane post and the purpose is simply to calm things down. 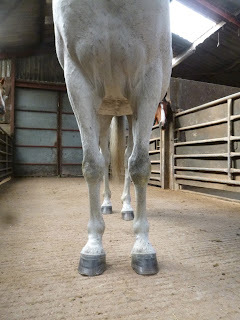 I know most people who read this blog do so because they, too, are interested in learning from their own horses and have, like me, increasingly realised that we know relatively little about our horse's feet and that the best teachers are the horses themselves. I post on this blog because I find the horses in front of me on a daily basis - who admittedly have usually had long term lameness and in some cases some pretty extreme problems - endlessly interesting, surprising and educational. I learn something from each one of them but none of them are the same. There are lots of common themes and lessons we can learn but each horse is unique and one thing you will never find - and certainly not on this blog - is a "one-size-fits-all" prescription which you can cut out and apply to every horse. I put up photos and video because I think they are more descriptive than any paragraphs I could write (despite the limitations of 2 dimensional photos which can't tell you a fraction about a horse compared to a few seconds watching them walk and move) and because I suspect many of us didn't realise how dynamic a horse's hoof could really be. 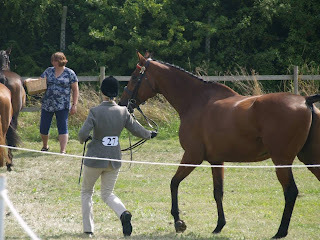 Anything I post is only directly relevant to that one horse but I hope that sometimes I might provoke owners and trimmers to question what they do and - using their horses as the ultimate reference point - give them the confidence to challenge those whose methods are not making their horses sounder. 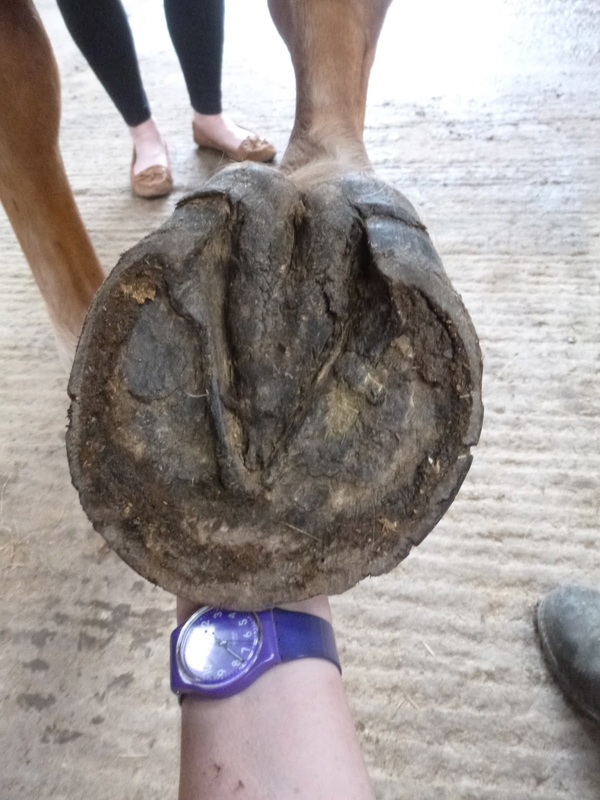 Its always inspirational to hear from other owners and to find that they too have encountered horses with feet which appeared to defy the norm - there are more of them around than you might realise and many of them are remarkably sound! One thing I don't do - never have and never will - is advise people what to do for the best with a horse I have never seen. I won't do it on email and I won't do it on the blog. In my experience its grossly irresponsible and totally unprofessional for anyone to prescribe exercise or management, never mind a trim, for a horse on the basis of a photo. 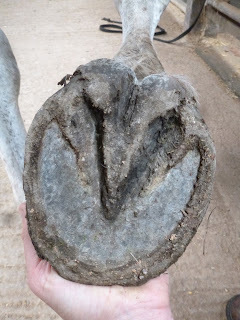 I could post here a dozen pictures of "nice" looking feet which belong to chronically lame horses and I could post a dozen pictures of "ugly" feet which belong to incredibly sound horses - "incredibly" because their "ugly", asymmetric feet have in many cases enabled them to overcome injuries, poor conformation or ill-advised farriery. 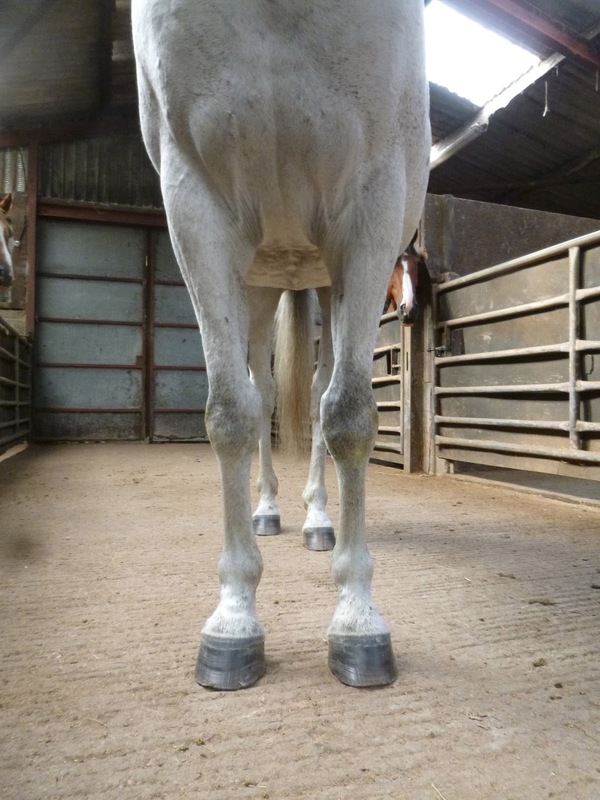 The compensations are apparent in their feet because the hoof capsule is, after all, the most plastic and dynamic part of the limb, able to respond minutely, rapidly and precisely to changes in load and stimulus even when everything above is less than perfect. In my experience, looking at the limb, the hoof and above all the movement on a sound, hard-working horse will tell you more about correct biomechanics, symmetrical loading and good hoof balance than any number of text books and experts ever can. But even then you need to bear in mind that when you pick up a hoof most of what is affecting it is completely hidden from view and that, whether you can see it or not, the horse needs to respond to or compensate for everything that is affecting his movement. He may need to adapt for that within his hoof so don't presume you are right to dictate to him; respect what he needs, be inquiring about why he has put the effort into producing it and use his soundness as your ultimate guide. 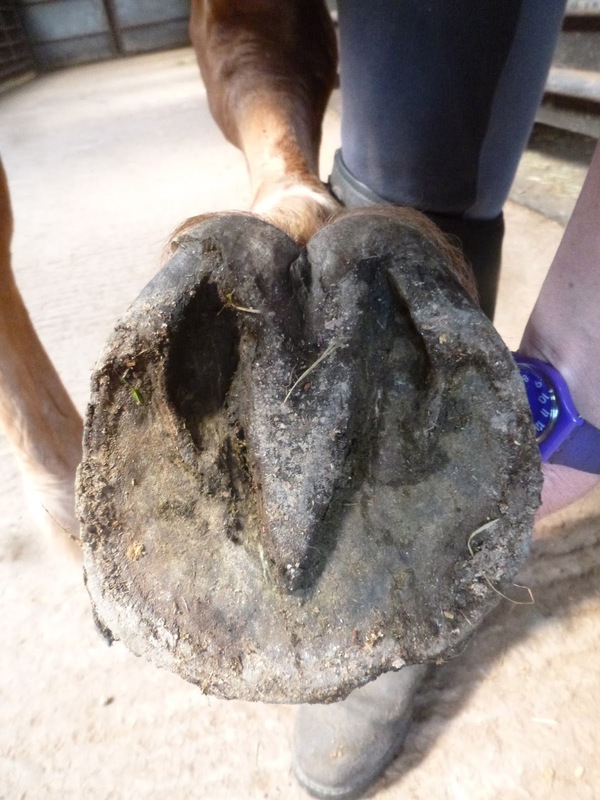 Hooves can only build and grow with movement and the effect of nerves, muscles, tendons, blood flow and pressure are by far the most important factors in building a healthy hoof. This is why movement and exercise are far more important than trimming. This is why I advise owners to keep their rehab horses in consistent work: it means that most horses are self-trimming for most of the time but more importantly its what they need to keep their feet healthy from the inside out. You really can't trim a foot to health - for all the reasons I posted about yesterday. 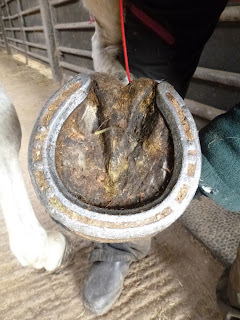 If you can't give your horse enough miles then be realistic - trimming is crude compared with genuine movement and will give you few of the benefits apart from a cosmetically enhanced hoof. "Splendid day! 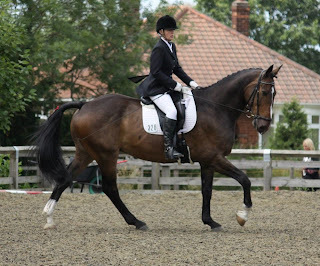 Lovely report from a client who has had a fab astonished response from her vet following barefoot rehab (at Rockley Farm of course) - he's pleasantly stunned at the continuing progress of the horse which he gave an extremely poor prognosis to after MRI." The answers coming from the horses may surprise you, should certainly enlighten you and may even amaze you...and you can be utterly sure that none of us have finished learning yet. Jumping and more jumping - rehabs do it bare!